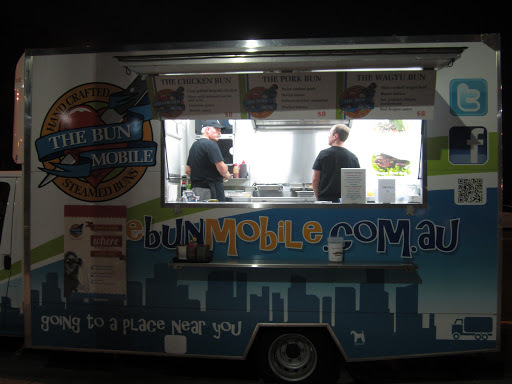 I have wanted to visit The Bun Mobile for quite some time and finally managed to track them down a couple of weeks ago at Kangaroo Point. 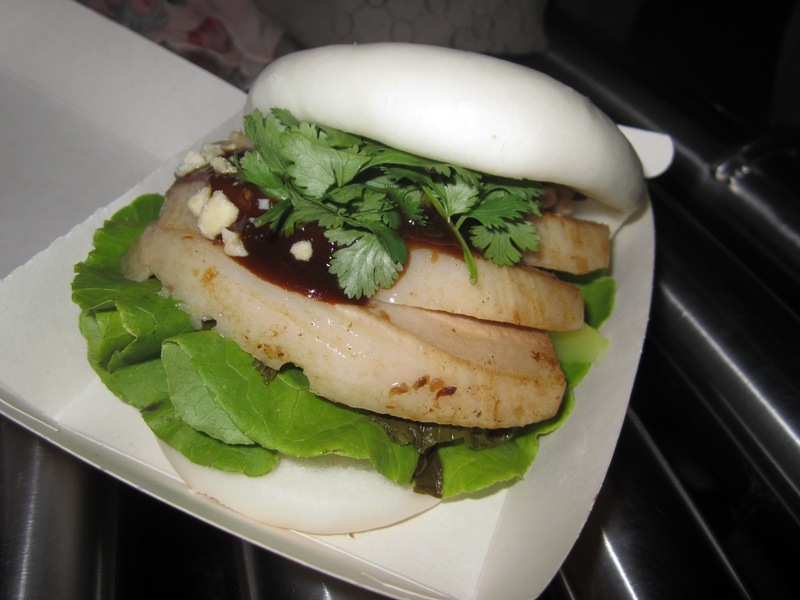 I think they have brought a revolution to street food in Brisbane. Their concept is simple; it is just a mobile truck selling buns. The location changes daily, but thankfully they have a good social media presence and constantly update their locations on the website and Twitter. We ordered the Wagyu Bun ($8) and Chicken Bun ($8) from the standard menu and decided to try their specials of the night: Taiwanese Pork ($10) and Mango Parfait ($10). 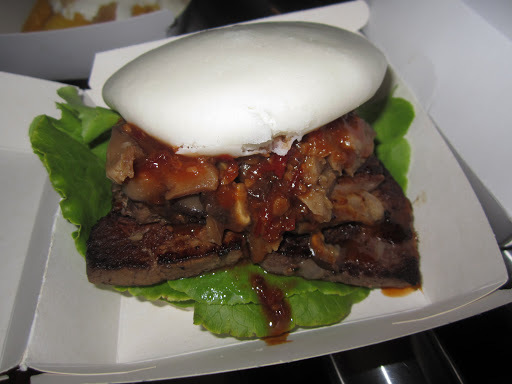 We were not quite impressed by the wagyu bun: Slow Cooked Wagyu Beef, Butter Lettuce, Soy Pickled Shitake Mushrooms and Red Dragon Sauce. We found the wagyu to be a bit tough and the flavour combo slightly odd to our liking. 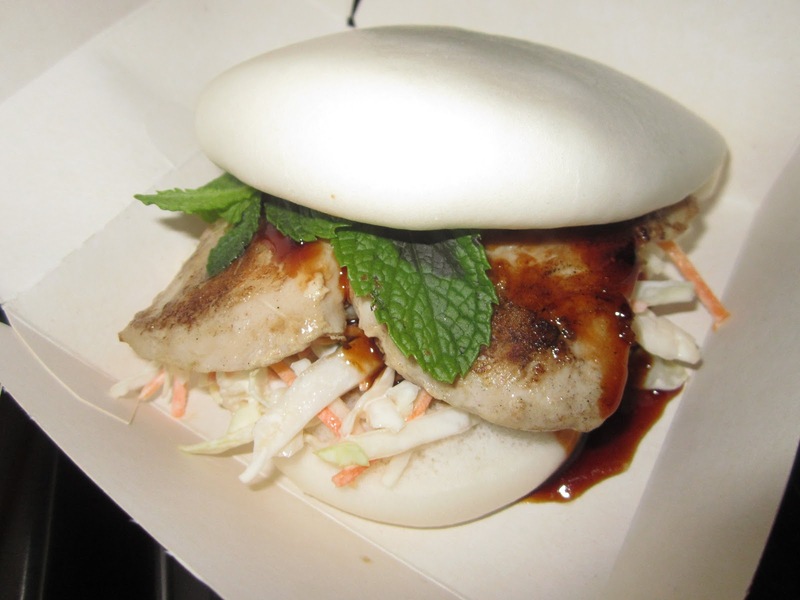 Our favourite was the chicken bun: Char Grilled Teriyaki Chicken, Slaw with Julianne Carrot and Mint, Japanese Mayo and Hoisin Sauce. It has good combination of flavours and a delight to eat. The pork bun is very much similar to the ones we get at the Taiwanese breakfast shop at Market Square, except a bit fancier: Braised Pork Belly, Pickled Mustard Greens, Sugared Peanuts, Coriander and Ginger and Orange Hoisin. The flavour was great, meat was tender, but there were too much fat on the pork (it’s pork belly after all). 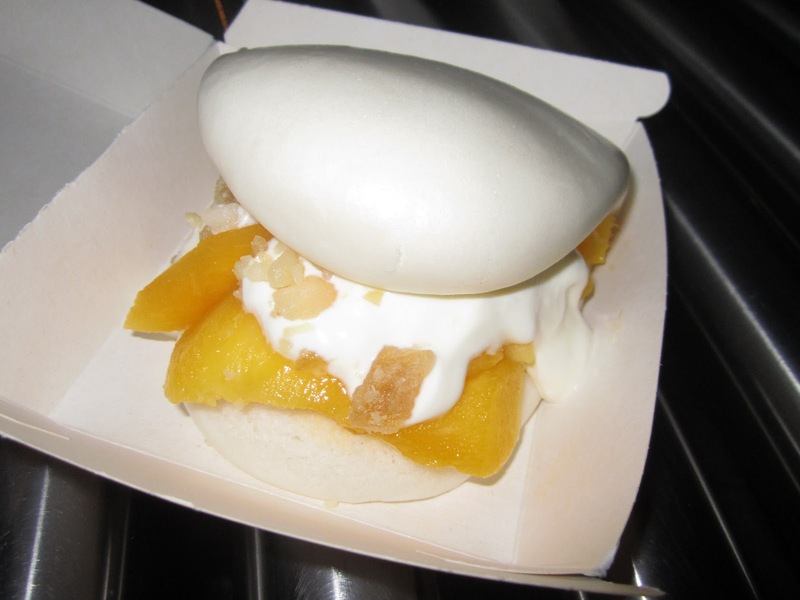 Finally the dessert bun, mango parfait: Fresh Cut Mango, Greek Yoghurt, Mascarpone Cream, Macadamia and Ginger Crunch. It was fresh and refreshing for a hot night and the perfect way to end the meal. It was a bit messy to eat with food and sauces going all over your face and hand….but again, who cares? We enjoyed a bit of casualness once a while in our dining experience.